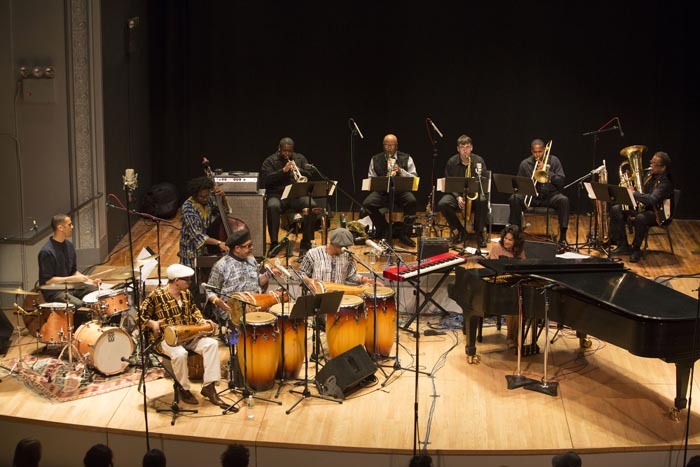 "New Yor-Uba: 30 Years - A Musical Celebration of Cuba in America"
Having received a 2016/17 Chamber Music America New Jazz Works Commission, I am joyously working on a new piece that will be presented at the Vision Festival, the D.C. Jazz Festival and The Painted Birde in 2016. More dates to come. NPR Jazz Critics Poll chooses "Michele Rosewoman's New Yor-Uba, 30 Years. A Musical Celebration of Cuba in America" as #1 Latin Jazz Album of 2013. Also voted #25 in Top 50 Best Releases of the Year category. Can hardly keep up with the news for this ensemble. STILL! Press keeps rolling in and all reviews have been movingly positive. The latest and greatest news is that I have been nominated in 5 categories in the JazzTimes Readers Poll, for Best Artist of the Year, Best New Release, Best Big-Band/Large Ensemble, Best Composer and Best Arranger. This is an honor for sure! --4 & 1/2 star review in January issue of Downbeat. --Feature article in January issue of Jazz Times. All-star cast features Pedrito Martinez, Abraham Rodriguez, Roman Diaz, Oliver Lake, Freddie Hendrix, Mike Lee, Vincent Gardner, Howard Johnson, Yunior Terry, Adam Cruz, Daniel Carbonell & Nina Rodriguez. Debut album release shows at Jazz at Lincoln Center September 30-October 1 and at the Lake George Jazz Festival on September 14, 2013. 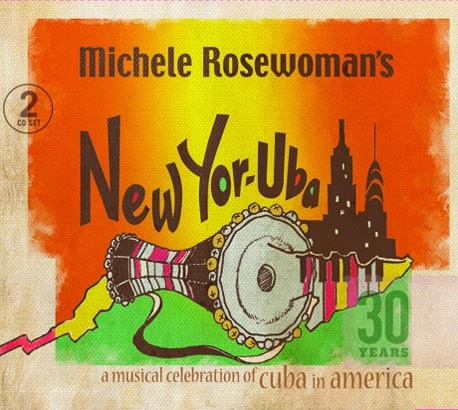 On her landmark new album New Yor-Uba: 30 Years - A Musical Celebration of Cuba in America, pianist/composer/vocalist Michele Rosewoman pushes the envelope at the outer limits of jazz improvisation while keeping firmly rooted in both jazz and centuries-old Afro-Cuban folkloric tradition. Widely credited as being one of the first composers to synthesize sacred Cuban folkloric music with a thoroughly contemporary jazz concept, Rosewoman's magnum opus, double-cd set - the debut album released on her own Advance Dance Disques label - is the realization of a distinctive creative vision thirty years in the making. Through a successful Kickstarter campaign and the generous support of her backers and co-producers; Neyda Martinez and Onel Mulet of Habana Harlem, Rosewoman's dream has reached fruition. A disciple of legendary Cuban percussionist Orlando "Puntilla" Rios, her career as a cross-pollinating innovator seamlessly bridges both the jazz and latin genres. As a composer, she's achieved recognition from Chamber Music America and support from the National Endowment for the Arts. As a performer, over the course of more than four decades, she's collaborated and recorded with greats from both fields: Jimmy Heath and Tootie Heath, Celia Cruz, Steve Coleman, Julius Hemphill, Paquito D'Rivera, John Stubblefield, Rufus Reid, Billy Bang, Chocolate, Greg Osby, Miguel Zenon, Freddie Waits, Billy Hart, Reggie Workman, Oliver Lake, James Spaulding, Gary Bartz, Howard Johnson and Carlos Ward, among others. Rosewoman and her New Yor-Uba ensemble celebrate the release of the album at Jazz at Lincoln Center, with performances at Dizzy's Club Coca-Cola on September 30-October 1 and at the Lake George Jazz Festival on Saturday, September 14, 2013. A pianist since the tender age of six, Rosewoman first became directly involved in African folkways in her teens via Cuban music when she began playing congas and percussion. While pursuing a career in jazz, these early explorations profoundly impacted Rosewoman's musical direction as she continued to explore and practice the ancient African-based drum and vocal traditions that she would eventually come to synthesize in her music. "One constantly expands tradition and the other strives to maintain an ancient tradition," Rosewoman explains. "They seemed to be opposite in some ways, and yet they always felt profoundly related. I saw parallels between the subtle and sophisticated rhythmic and harmonic aspects of jazz and the highly evolved rhythmic and vocal language of both rumba and bata traditions-the obscuring of the obvious, the ability to play time on a sophisticated level where the 'one' is not stated but implied by everything around it. As a composer and as a pianist, my approach is profoundly shaped by the rhythmic perspective of the bata drums and is evident in the way that I write and play. This enables me to integrate the forms without forcing any element to fit, and to retain the essence of each idiom." One of the most distinctively individualistic artists in both jazz and latin music, Michele Rosewoman's three main influences remain her mentor - the late great Ed Kelly, an Oakland- based jazz, blues and gospel pianist/organist - the permeating Oakland sounds of funk and R&B, and her early studies in Cuban folkloric percussion traditions. 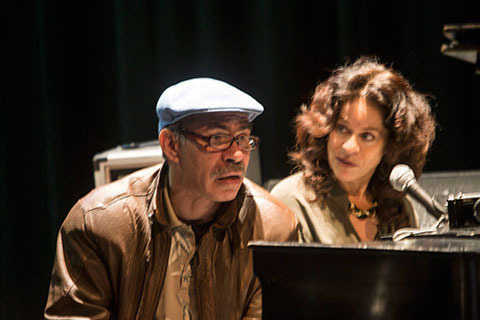 Cutting her teeth in the San Francisco Bay area scene, playing with such artists as Julian Priester, Julius Hemphill, Oliver Lake and others, Rosewoman moved to New York City in 1978. 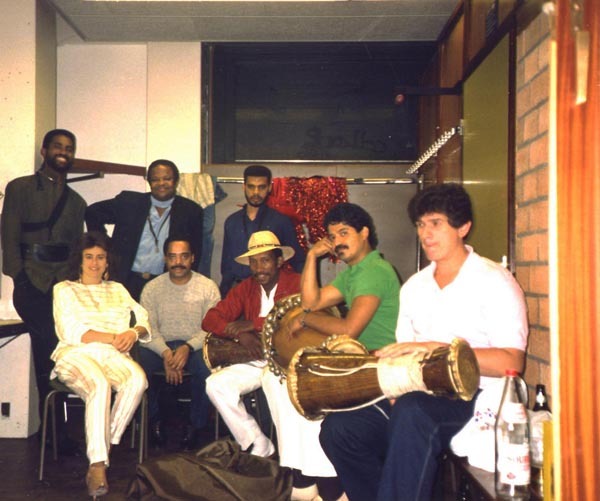 Support from the NEA facilitated the 1983 premiere of the pioneering 14--piece New Yor-Uba ensemble, featuring her mentor and associate Orlando 'Puntilla' Rios at the Public Theatre in New York City. Her recording debut in 1984 was as pianist and musical director of a popular Cuban Songo combo, Los Kimy. That year she was also commissioned by ASCAP/Meet the Composer to compose an orchestral work that was debuted by the Brooklyn Philharmonic Orchestra with improvisational ensemble. As a bandleader, her contemporary jazz recordings for trio, quartet and larger ensemble have been released on the Blue Note and Enja labels, including four with her acclaimed group Quintessence. 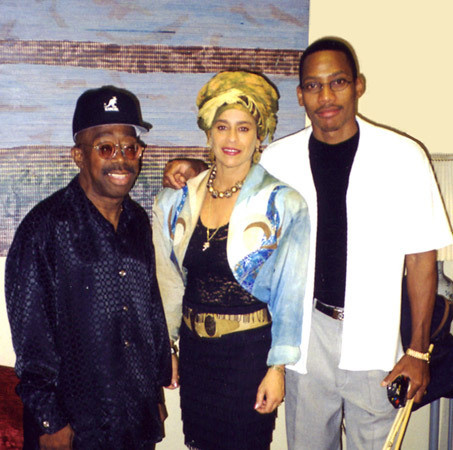 She has also recorded with Oliver Lake, Greg Osby, Billy Bang and Ralph Peterson, among others. She has toured internationally, and performed at major jazz festivals, concert halls and clubs throughout the United States, Canada and Europe. A dedicated educator, Rosewoman continues to conduct workshops at colleges and universities throughout the US and has served as a faculty member and resident artist at New York University and Berklee College of Music. For the past 18 years Rosewoman has been teaching in jazz programs at The New School for Social Research and at Jazz House Kids in Montclair, New Jersey. 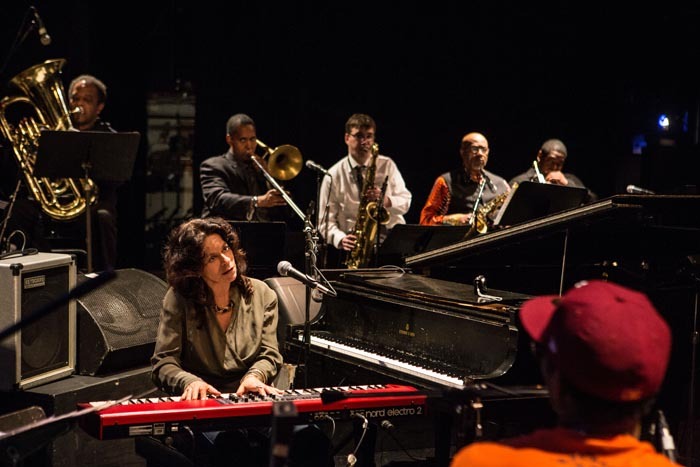 More than 30 years ago, pianist and composer Michele Rosewoman�s parallel paths�jazz and Afro-Cuban folklore�merged into a compelling whole in New York through her New Yor-Uba ensemble. Rosewoman will describe the awakening that led to that group, reflect on her studies with the late Orlando �Puntilla� R�os, and explain the cross-generational way in which she has rekindled that group�s flame. Debuting a Newly Commissioned CMA- work, 'Oru de Oro"
"Michele Rosewoman's New Yor-Uba, 30 Years. 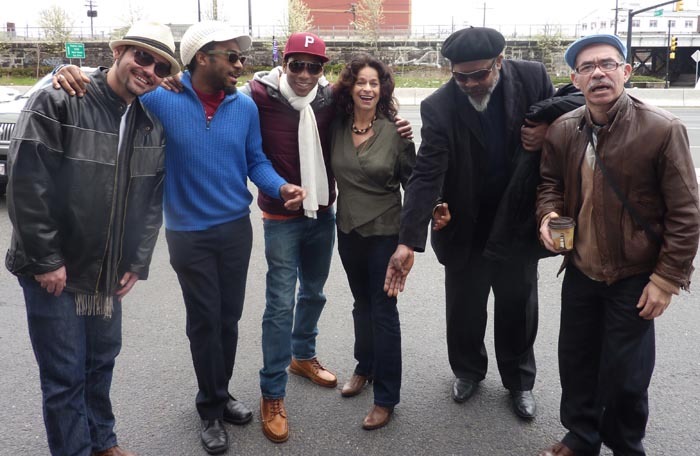 A Musical Celebration of Cuba in America"
Vision Festival presents a "Latin Free Jazz " mini fest. CD Release Celebration: Dizzy Club Coca Cola Lincoln Center, NYC. Paying homage to its living contemporary manifestations. Renowned pianist and composer Michele Rosewoman presents New Yor-Uba: A Musical Celebration of Cuba in America, featuring fellow masters from the worlds of contemporary jazz and Cuban folkloric music. New Yor-Uba celebrates 30 years with their 2013 debut recording and September 10, 2013 CD release. Featuring Pedrito Martinez on lead vocals,, this recording captures and represents a new chapter in the innovative ensemble's extensive and impressive history. The name "New Yor-Uba" reflects the progression of the music of the anicent Yoruba people from Nigeria, through Cuba to present day New York. Brass, saxophones, and a rhythm section complement key Cuban elements including three bata and conga drummers, traditional vocals and dance. 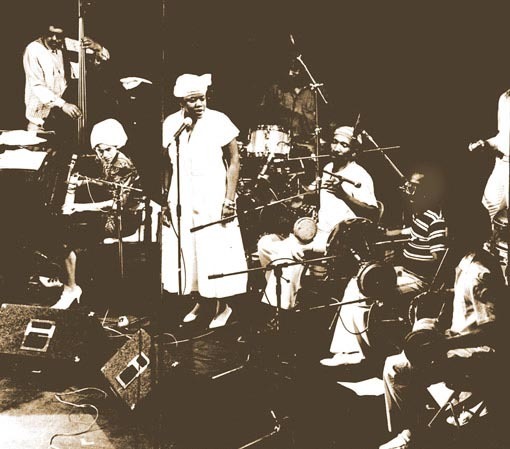 New Yor-Uba salutes the Orishas (Yoruban deities) in a contemporary jazz setting with a distinctive repertoire featuring Ms. Rosewoman's original compositions and visionary arrangements of centuries-old Yoruba (Nigeria) and Arara (Dahomey) cantos (chants). Ms. Rosewoman's life-long immersion in both traditions led to the formation of New Yor-Uba. Her interest in Cuban music was born in a home full of music and art. Exposed in her early years to the great jazz traditions and to spiritually-based music from around the world, she began playing piano at age 6. In her late teens she began playing congas and percussion, studying African-based drum and vocal traditions, specifically Cuban and Haitian forms, with an emphasis on the ritualized, spiritual aspects of the music. These early explorations would profoundly impact Rosewoman's musical direction with a pervasive influence on the formation of her sound as a pianist and composer. She is credited as one of the first in bringing together Cuban Folkloric music with a thoroughly contemporary jazz concept for an uncompromised synthesis of these two profound musical idioms. 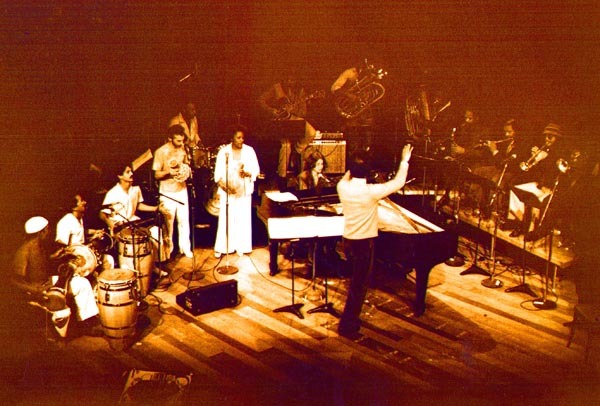 Upon coming to New York in 1978, Rosewoman continued to nurture her collaborative work with various jazz illuminaries and also began playing with Cuban dance bands. 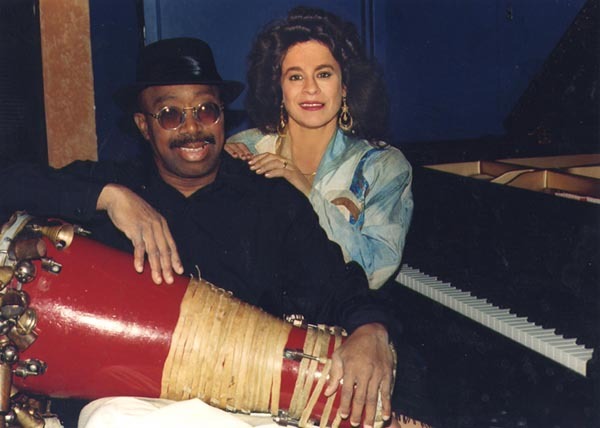 She soon formed an important association with the late Cuban master drummer/vocalist Orlando "Puntilla" Rios. A repository of tradition, he was both a mentor and a member of her New Yor-Uba ensemble; and, since its inception, provided Rosewoman with a valuable organic source which took shape through her vision and which continues to evolve. Early support from the National Endowment for the Arts facilitated ­Michele Rosewoman's premiere of the pioneering 14-piece ensemble featuring the late 'Puntilla', at Joseph Papp's Public Theater in New York City. The ensemble's sold -out debut in 1983 signaled the emergence of an important new voice and the program received rave reviews in the New York Times and The Village Voice. New Yor-Uba has since performed at major festivals and venues throughout Europe and the United States. Ms. Rosewoman was also among the first to bring an undiluted form of Cuban folklore into New York City jazz clubs. With a 30-year history, New Yor-Uba's concept and sound remain incredibly vital. Now an 11-a-piece ensemble, Rosewoman continues to enhance the ensemble's repertoire with new music and personnel, further inspiring her to reflect and explore the links between these deep musical traditions. Michele Rosewoman has performed with many Jazz and Latin greats including, in the Latin music genre, the late Celia Cruz, Paquito D'Rivera, Andy Gonzales, Roberto Borrell, Daniel Ponce, Chocolate, Nicky Marrero Dave Valentin, and Puntilla's Nueva Generación. New Yor-Uba pays homage to the contributions and legacy of the master folklorist, Orlando "Puntilla" Rios. "...two big cultural streams flowing simultaneously... cultural multiplicity in sound taken to a reasonable extreme, where a song can still be allowed to sound logical and beautiful...It all felt ancient and experimental at the same time, and capacious enough to include more and more." "Dazzling tracks, startling for its balance of unfettered improvisation and undiluted Cuban folklore within a complex and often grand structure... ---stylistic swagger and spiritual heft." pianist-vocalist Rosewoman's esoteric yet quintessentially NYC ensemble. Delightful melody, spine-tingling abstractions and a sagae sense of groove argue for Rosewoman's place among the music's brightest composer-arrangers". "...One word for you-genius! That CD is amazing! I don't know when was the last time I heard a cd that moved me and touched me in this way. The writing is so personal, imaginative, and cliche' free as you're playing always is. The musicians seem to dig the music and interpret the music so well. The arranging is brilliant and the engineer did a great job of recording and mixing it. I've been a big fan and promoter of your writing and playing and this is the total package, not to mention the lyrics and vocal arrangements. I will continue to sing your praises...Love you, Donald." "Absolutely one of the most exceptional records of 2013 is pianist-composer Michele Rosewoman's 30th Anniversary New Yor-Uba release." 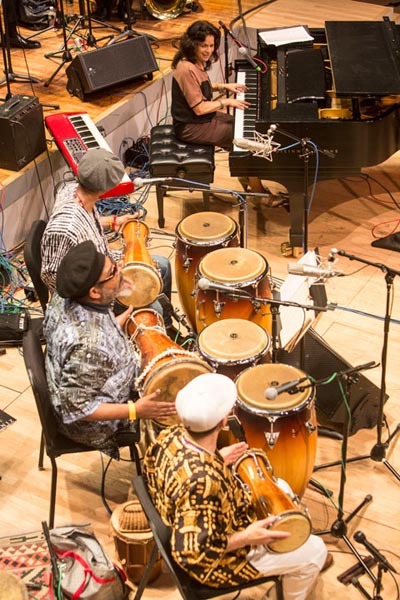 "Pianist Rosewoman has created the masterpiece she's envisioned for 30 years, an extended, loving and fully informed evocation of the Santeria orishas, bata drums prominent with her committed jazz octet and a couple of guests. Two discs is a lot of music to absorb, and doubly rewarding"
"Rosewoman's presence on piano continues to shine as she blends the rhythmic angularites of Thelonious Monk with the jolting harmonic suspense of Jaki Byard and Don Pullen...from gentle melodyand hypnotic bata rhythms to...intriguing, loping blues figure and sumptuous harmonies, the music transports as well as transcends in ways, opening various gateways for pleasurable listening without the need to be fully immersed in Afro-Cuban folklore...mesmerizing choral work and serrated funk...the compositions have the potential of becoming new modern jazz standards. One hopes that a follow-up to this transfixing set will come sooner than later.". "Rosewoman places vocal simplicity on par with instrumental complexity without sacrificing either... These two traditions, however, are only the starting point for Rosewoman, whose fresh compositions send them hurtling into the future. With New Yor-Uba, Rosewoman moves AfroCuban music another step forward"
the prescribed order, and have their own integrity within the band's performance. Michele Rosewoman is mindful of the fact that the traditions she bridges have different goals... Rosewoman and her very aware musicians layer jazz phrasing and harmony over those ancient rhythms, and do justice to both traditions. It's like inventing Afro-Cuban jazz and sacred concerts all over again. "Though it took her 30 years to document her groundbreaking New Yor-Uba band on record, it was worth the wait. Released in September, the exuberant �30 Years: A Musical Celebration of Cuba in America� is one of the standout albums of 2013...� the album stands as a true Latin jazz milestone � a special gift from an artist determined to bring two great cultures together. Feliz Navidad, indeed.."
"Rosewoman plays lush piano; congas often serve as counterpoints to the horns and there are many memorable interactions between the vocalists and other musicians. What is remarkable about the set is the lush, voluptuous layering of sounds, as if one were interred in a gilded mansion of sound. " "The clarity of the devotional intent, well-crafted arrangements, and the superior musicianship all around make A Musical Celebration of Cuba in America a very special recording. Particularly bright moments include Rosewoman�s energetic and imaginative piano solo on Dance For Agayu, her eccentrically flowing piano solo and the ensuing percussion workout on Por Ahora y Para Siempre, the vocal harmonies that open Old Calabar, another gorgeous Rosewoman solo on In Praise of Spiritual Guides, Freddie Hendrix�s tasty trumpet solo on Perdon, and the fractured horn charts on Where Water Meets Sky. I�m sure you�ll find many more of your own over the course of two discs of heart-stirringly beautiful music. Fantastico! " "Ouch, it�s time once again to discover one of those records that so good it hurts... this is about killer playing that goes down so smoothly and well interwoven that you just have to gasp for air. This double cd, stocked with playing by some of New York�s finest jazzbos, qualifies as a landmark recording that will continue to tower no matter how much passes behind it. A must for Afro-Cuban jazz fans, this is a set they will not want to be without. Get on board." "...the first recording in 30 years from this astonishing Latin-Jazz �big band� of sorts, a fantastic collective that shuffles together with masterful ingenuity Rosewoman�s expertise in both modern jazz and Cuban folkloric music... With a band this versatile, the options are myriad, and Rosewoman doesn�t ignore any of them in 14 tracks spread across two generous and kaleidoscopic compact discs. Almost all the material was composed and arranged by the leader (with traditional materials throughout), and many tracks weave the traditional and the modern brilliantly.. Michele Rosewoman refuses to see any boundaries that can contain Afro-Cuban music and its rich fusion with jazz. "...a joyous, supremely listenable two-disc set. It�s a large band but the feeling is very friendly and almost intimate, like a family, perhaps because Rosewoman�s lyrical piano is front and center throughout...Really fine performances from all." "Ms. Rosewoman's music-dissonant melodies, brass chorales, chromatic ballads and orchestrated vamps...as the groove shifted from the flow of the Santeria chants to the swing of a jazz band-was jazz that didn't simply use Afro-Cuban rhythms as decoration, but layered melodies and rhythms with equal force and weight." "New Yor-Uba is soulful evidence that Rosewoman is on to something significant. The music was energetic, propulsive and especially noteworthy largely because it did not use either jazz melodies or Cuban rhythms as mere embellishments. Rosewoman's concept fully integrated orchestrated brasses, saxophones, and a jazz back line, with traditional Yoruban chants sung to the heavy rhythmic accompaniment of congas and bata drums, ceremoniously arriving at sumptuous Ellington-like orchestrations." 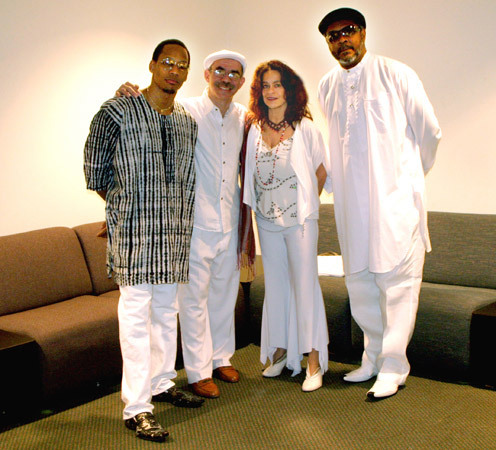 "Michele led the band through a set of charts that gave insight into her imagination and talent.... Rosewoman gave a state-of-the-art performance that is rooted in tradition but searching for new ideas to further this sanctified circle and pay homage to the black spiritual music of two worlds for a joyous energized experience."